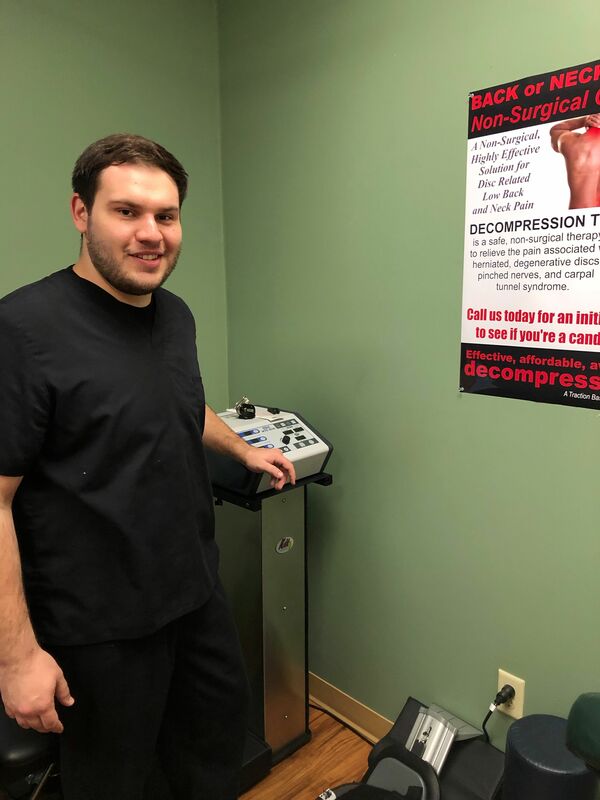 Spinal decompression therapy is a non-surgical traction based treatment outcome for herniated or bulging discs in the neck and lower back. Anyone who has back,, Neck, arm, or leg pain may be helped by spinal decompression therapy. Doctor skill combined with the table and computerized traction head are the keys. Proper assessment, correct positioning and the use of pre-programmed patterns of distraction and relaxation may reduce disc pressure allowing necessary nutrients to enliven and accelerate disc healing. Are there condition where Spinal Decompression Therapy is not indicated? In almost all cases, the treatments are completely painless. In fact, come patients fall asleep during the spinal decompression session. To reduce inflammation and assist the healing process, supporting structures are treated with passive therapies( ice/heat/muscle stimulation/ ultrasound/low level laser), Nutritional advice, chiropractic adjustments (as indicated) and/or active rehabilitation in order to strengthen to spinal musculature. We want to make it easy for you to learn if you are a canidate for spinal decompression therapy. Just call our office at 229-883-0042 to arrange a consultation with Dr. Wren.